I believe you can be your best astrologer. Really. Yes, I know—you think you don’t know enough and every time you see a new astrology book it’s about some aspect of astrology that you never knew even existed! You are overwhelmed with information. But still you dream of possibilities—could you be your own astrologer? Could you understand your friends and lovers better if you knew this language? I believe you’ve taken the first step towards that dream by reading this book. I’m not going to dispute the fact that there are times when talking to someone else is better—a friend, therapist, or a professional astrologer. But there are other times when you can learn what you want to know yourself—and right away. You can find out what you’re curious about—is this a good time for you to connect with a new partner or to connect with your Soul more deeply? Is it time to get out of a rut and change jobs? By learning how to understand astrology you can do this without needing to spend lots of money, time, or effort seeking out just the right astrologer for you, when you are it! So here’s what we can do~let’s “lift the veil”. 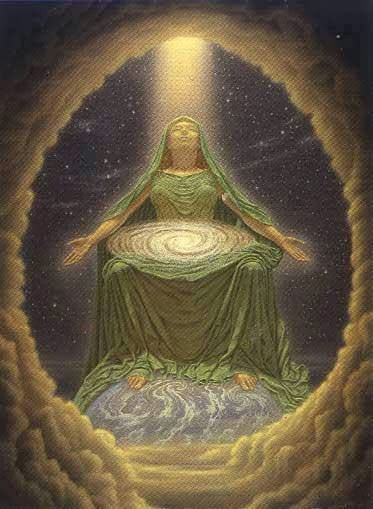 Let’s take back our “intuitive wisdom power” and have a new look: too many people, including myself, became accustomed to believing that others always knew more or had a direct line of connection to Divine Wisdom. I believe it’s time to take back this projection of all that Wisdom, and dream deeper into ourselves and what we can do—we are each our best Oracle if only we knew it. The Hindu Sanskrit sages wrote: “Tat tvam Asi” meaning “Thou art That” or “You are That.” They meant you are all that you seek. You are your own wisest Self. I believe the craft of this intuitive art of astrology is much easier to grasp than you might think—and that it is a myth or illusion that you need to know so much to be able to make sense of it. You don’t. You do need to have a few good books that aren’t too simple, too complex or too focused on just one aspect of astrology (I’ll suggest a few books later that have helped me). I’m going to assume that you, my reader, might call yourself an “advanced beginner” depending on how modest you are—so this book is written for you. But no matter where you are on the learning spectrum I suspect you picked up this book because you know that the key to understanding the compass of your chart isn’t even astrology—it’s knowing yourself! Deeply. So in some ways this little book spans the range from beginner to advanced, as I’ll try to fill in gaps in your understanding (we all have them!) And sometimes there are things that your personal astrologer, or your internet astrologer, or horoscope column, simply doesn’t tell you. There are things beneath the veil that deserve unveiling…such as how do the ideas of Carl Jung, existentialism, re-incarnation and “embodied Soul” all come together? At times it might sound like a heady stew, but it will be a stew that is digestable and will give you good nourishment. It will give you confidence. Here’s the “first lift” of the veil: To be your wisest astrologer you need a subtle change of attitude. Really! As my colleague, Caroline Casey says: “It is better to create prophecy that to live predictions.” When you know the full range of possibilities at any given moment, you stop being passive and become active. And that is a change from a toxic “stuck” attitude to a co-creative, vital, intuitive attitude. You are your own wisest Self, but you have forgotten…or it has been beaten out of you, literally or otherwise! It’s time you regained your powerful sensitivities and self-confidence by 1) enlisting the help of your own intuitive imagination by engaging divine guidance and 2) by being persistent enough with reading this book so that will learn and remember this unique language of the Soul. It could be the best language you ever learned. However, I’m not going to delve into all the things that could be astrologically explained to help you learn this craft—there are hundreds of good books out there, and you can always look up on the web what still puzzles or intrigues you. Instead I’m going to prioritize what I think are some of the most important things to know…and a few things people haven’t talked much about—and maybe that’s the most important part. For me, the key to successfully understanding a chart, or even understanding the language used in a horoscope reading, lies in defining the priorities of what is more or less important, rather than trying to learn the 15 million unimportant nuances. In my experience—from being a professional astrologer for over 20 years—is that it’s better to go deeply into the core meaning of a sign, house, planet and aspect, rather than to struggle with layering on midpoints, asteroids, and minor aspects—do we really need sesquiquadrates and the asteroid of Black Lilith in every chart? Maybe at times…but mostly not. So you still you need to learn the basic language of signs and planets (simplified through a unique technique I’ll share with you that takes the pain out of memorizing planets, houses, and signs) and you do need to practice the intuitive art of layering on the symbolic meanings of the planets and houses in your chart. There is never just one thing that’s happening in your life, and there’s never just one planet, house or transit that will explain it all. You look at each planet and listen to what it has to say. What sign describes it? Where is it in your chart? Then you contemplate the highest expression of how this planet, or transiting planet, can be optimally played out (Chapter 7), and let that influence your decisions. For example: Imagine your birth chart to be like a conference table with all your sub-personalities (planets) sitting around the table with each having an agenda it wants to lobby for…. i.e. Venus wants beauty and relationship, Uranus wants the freedom to do something different. Then, as the transiting planets come by and interact (aspect) your birth planets, these transiting planets become like over-eager lobbyists for that planet’s agenda and the two get stronger as they link up together. You need to listen to each (and tell some to be quiet!) and use your executive ability to make your free will choices to decide what to do. Above all, you don’t want to allow yourself to fall into the “beginning astrologer’s syndrome”: that everything is bad or challenging. You’ll want to look at the whole picture—okay, let’s imagine you’re trying to decide about taking a short trip to a new place where there’s an art gallery opening where you’ll know you’ll meet certain people, and you’re conflicted about going. But then, take a closer look at what the transiting Moon is doing: If it’s in extroverted Sagittarius, it too might cast its vote for going out and smoozing and meeting some new friends. But if that Moon is in the sign of Cancer, it might prefer to spend the week-end de-cluttering your “nest” or reading books at home or having your best friend over for dinner. You are the decision-maker, the chairperson at the conference table, and after listening to each “planet’s desire” you’ll make your best decision. As my friend and fellow astrologer Greg Bogart says: “Astrology is the positive contemplation of change.” Make it positive, no matter what you decide to do. So the birth chart describes your general tendencies and who you are, but the transit chart (what you’re hearing astrologers talking about all the time in forecasts) describes the climate of moment. As we’ll see in the chapter on what your astrologer doesn’t tell you (or stress enough) is that generic forecasts based on your Sun sign alone don’t really give you an accurate picture! There are several reasons why this is true. And that’s why this book, is so important. It is true that a little knowledge can be a dangerous thing, but a little more knowledge and the proper attitude/understanding of how astrology works can change your experience entirely. For example, I recently had two transits when Pluto and Uranus were in challenging aspects (a square and an opposition) to my Sun. I found myself saying one day that “Either one of them is enough to kill a person.” Then I felt guilty because I was promoting fear instead of marveling at how those transits were changing my life in a profoundly positive way! They’ve taught me how to let go of some unhealthy habits, how to speak my Truth more tactfully, and how to “feel into” what I was ready to take on, and when. Those transits didn’t kill me. They changed me for the better. Most times, even the hardest transits are best seen as metaphors: it’s not that you will lose your work, lover, or die—it’s a metaphor for something in you that is dying and being reborn. With that said, you’ll see in this book that I believe prioritizing what is most important to know is crucial. So, as an Evolutionary astrologer who believes in the life of the Soul through reincarnation, I believe that the North and South Nodes are one of the most important parts of the birth chart, so there’s a chapter on them right in the beginning. They point us in the direction of our basic life direction and soul purpose. You’ll find that you will begin to think and talk like an astrologer by reading the chapter on the major “Turning Points in Our Lives”—those life passages that apply to everybody at roughly the same times and ages—the Saturn Returns, the Uranus Opposition, the Chiron Return and the meaning of those pesky yet life-renewing Mercury retrogrades! And because you’ll want to know “what’s happening with you now” you’ll want to read the chapter on optimizing your transits and progressions. I’ll also share with you about my life as an astrologer, and there’s a chapter on considering what it takes for you to be an astrologer. Why not? I’ll tell you everything I think you’ll need to consider.